C41201-WH is rated 4.8 out of 5 by 4. Rated 5 out of 5 by Ukeman from Works Great I installed 2 water sense toilets in my home and they work great ! Rated 4 out of 5 by Tien from value Compact, space saving design, with life time warranty. 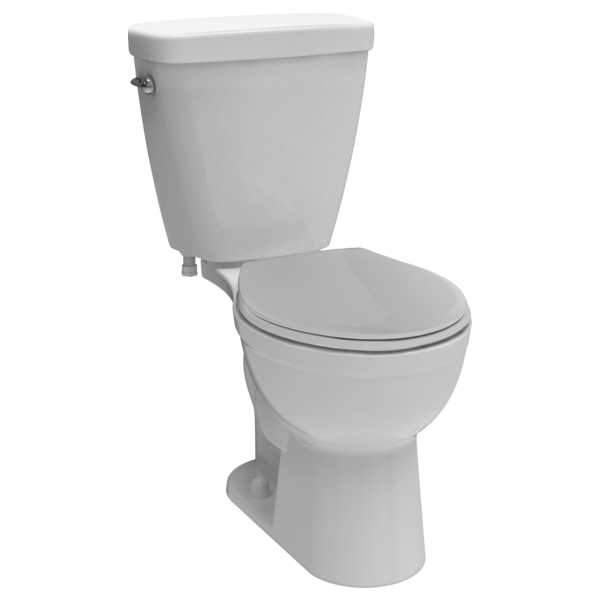 Rated 5 out of 5 by Winning from An Excellent Product This toilet is very well designed. It uses less water and yet produces a highly efficient flush. It is a taller toilet which is an added bonus for those people experiencing joint and mobility issues. This product is highly recommended. Rated 5 out of 5 by Rollie78 from Excellent overall product Sleek design that works well in narrow bathrooms. Easy to install and simple directions with affordable price. Hi, I have a Delta Prelude Model # C41901-WH. There is a water level adjustment gizmo that can be turned with a screwdriver. Which way increases the water level (i.e. clockwise). Thanks.